Unfortunately, due to extensive, ongoing renovations, there will not be a room block available at the Downtown Richmond Marriott Hotel in 2019. However, we anticipate that for the 2020 Virginia Wine Expo, this hotel will be back as one of our primary hotel partners. We are sorry for any inconvenience. 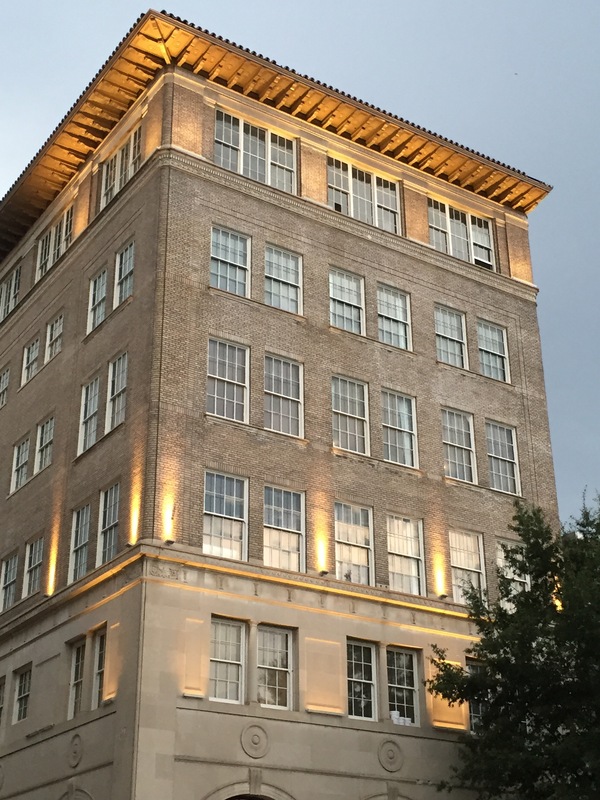 Located at 501 East Broad Street in the heart of downtown Richmond, the beautiful Hilton Richmond Downtown is only minutes away from spectacular Main Street Station, where most of the signature events at the Expo are held. The rate is $159. The deadline for reservations is February 15, 2019, assuming rooms are still available. Please make resevations online and mention 2019 Virginia Wine Expo by clicking this link. Located within walking distance (weather permitting) from Main Street Station, You may think you know The Commonwealth, as it has been a landmark hotel in Richmond for over 100 years. And much of what we have been known for—excellent service, spacious suites, and a location that can't be beat—remains. But we have totally reinvented ourselves, and now offer a uniquely Richmond experience. From the tattooed entrance doors on our suites (did you know that RVA is the 3rd most tattooed city in America? ), to furniture and art hand crafted from some of the area's most talented artisans, to java from Richmond's own Black Hand Coffee Company, The Commonwealth will surprise and delight you at every turn. 2019 Virginia Wine Expo Presented by Publix Rate: Roomy Suite - $169 plus tax/night. Call hotel directly at 804.343.7300 to make reservations. The deadline to do so is February 14, 2019. Born from one of Richmond's most exciting art galleries, Quirk Hotel brings together different worlds to create a multi-layered experience that is so much more than just a hotel. Immerse yourself in the latest art exhibits at Quirk gallery, sip on a clever cocktail at the rooftop bar or enjoy a memorable meal from our Virginia Rising Star Chef at Maple & Pine. Everything about Quirk Hotel will delight you! Call Quirk Hotel reservation line at 844-757-8475, mention Virginia Wine Expo 2019 and ask for the special Virginia Wine Expo rate. Quirk Hotel is only a short five (5) minute Uber ride to spectacular Main Street Station, where the seminars, Burger Blast, SMOKED!, Bounty of Virginia, Rooted in Richmond and the Saturday and Sunday Walk-Around Grand Tastings are held. Last day to book - 2/07/2019 - $159 USD per night for single or double occupancy; $169 for a triple; and $179 for a quadruple for Courtyard by Marriott Downtown. 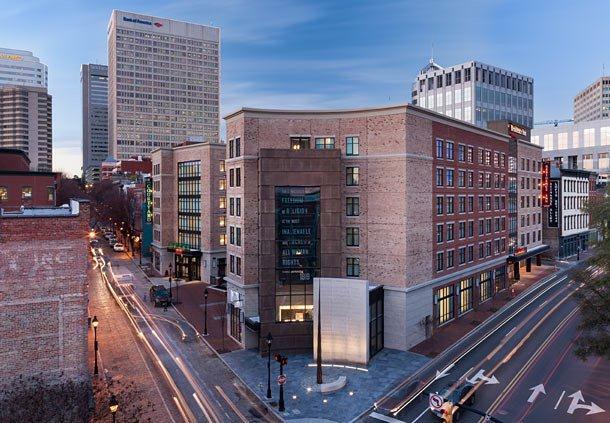 This hotel is located in the heart of spectacular and historic Shockoe Slip, where you'll find restaurants, chic shopping, craft breweries (close by) and more. Also, the Main Street Station, where most of the Signature Events at the Expo are held, is a very short 10 minute walk away. Please mention 2019 Virginia Wine Expo. Reservations for the Event can be made by individual attendees directly with Marriott reservations at 1-800-228-9290. Or you can reserve directly by clicking the following reservation link. Last day to book is Monday, February 11, 2019. Single rate is $149.00 and double rate is $149.00. Please identify yourself as part of the Virginia Wine Expo 2019 Room Block to get the discount. Call 1-800-843-6664 for reservations. Or visit the Omni Richmond website to make reservations online right here. The Linden Row Inn is a 70-room boutique historic hotel in the heart of downtown located at 1st and Franklin Street. The hotel is comprised of seven row houses built in the mid-1800’s, and meticulously restored over the years. Most of the rooms are furnished with authentic antique pieces from the middle and late 1800’s, and the hotel is proud to be featured on the National Register of Historic Places. The Inn is located about 10 blocks away from Main Street Station (a short shuttle ride), where Burger Blast, SMOKED!, Rooted in Richmond, Bounty of Virginia, seminars and the Saturday and Sunday Walk-Around Grand Tastings are held. Special Discounted Virginia Wine Expo Rate: Garden rooms - $119 plus tax/night. Main house rooms are $139 plus tax/night. Last day to book February 14, 2019. 1. Go to our Reservations Page at www.reservations.lindenrowinn.com. If your guests decide to visit our website (www.lindenrowinn.com) directly, they can also click on Reservations and follow the instructions above. The Berkeley Hotel is a European boutique-style hotel with southern flair offering a unique experience for travelers coming to Richmond, Virginia. Surrounded by cobblestone, the Shockoe Slip location is central and within walking distance to several area restaurants and attractions. If you and your friends want to reserve a limousine please contact James Limousine or Richmond Limousine, our preferred Virginia Wine Expo Limousine Partners.